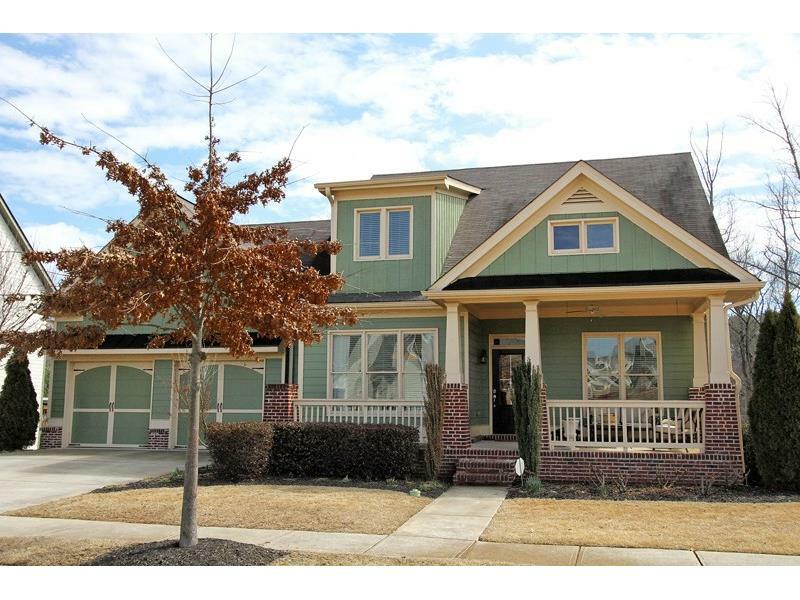 Wonderful Craftsman Charmer with Front Porch! New HVAC's for all levels, New Carpet, New Deck, Fresh Paint & More! Fabulous Open Floor Plan offering Gourmet Kitchen w/granite/stainless steel Appliances open to Spacious Brkfst rm & Family rm w/Stone Frplc. Mstr main w/spa bath! Granite counters/glass enclosed shower/soaking Tub! Potential 4th BR on main w/full bath. Tons of Upgrades-Hrdwd flrs! Upper Level Offers Spacious Open Loft & secondary bdrms. Full Daylight Walkout Bsmnt, ready for finishing-new HVAC system in place. Family community/Hoa incls Mandatory Lawn!